AWS customer case studies and stories about big data use cases and workloads. Adskom improves sales by up to 30 percent with AWS. Adskom is an ad tech company supporting digital marketing campaigns. The company moved its Cloudera Hadoop–based analytics environment to Amazon EC2 instances, supported by Amazon RDS. Based in Hong Kong, AfterShip provides automated shipment tracking as a service, supporting 300 shipping services worldwide and handling over 30 million packages every month. AfterShip is using Amazon EC2 Spot Instances and Amazon ElastiCache to run API services, serving over a billion API requests per month. Alpha Vertex achieved the multi-gigabyte throughput crucial to its central line of business by using Amazon EFS. Alpha Vertex uses artificial-intelligence tools to build a model of the global financial system so it can provide investors with returns predictions, research assistance, and automated monitoring and analysis of worldwide financial media. Alpha Vertex uses Amazon EFS for data caching and intermediate storage of machine-learning models. Amazon migrated its analytics system from Oracle to AWS to enable greater agility, reduce operational cost and effort, and support growing performance needs. Amazon is the world’s leading online retailer and provides a wide range of cloud services through its Amazon Web Services (AWS) division. The company built a high-performance analytics infrastructure in the cloud using Amazon S3, Amazon Redshift, Amazon EMR, and a range of other AWS services. Artfinder can match its customers with art they will love thanks to recommendation tools built on AWS. The company is an online art marketplace, allowing thousands of artists to sell directly to buyers. It runs its website and recommendation tools using AWS technologies such as Amazon EC2, Amazon Machine Learning, Amazon Rekognition, and Amazon Kinesis Firehose. By using AWS, Askey Computer Corporation is ensuring that the growing number of travelers using Taipei Main Station, a railway station and major transportation hub in Taiwan, can move around easily and safely. Askey builds cutting-edge IT solutions that can support smart projects in major cities worldwide. The company runs the IT infrastructure supporting its Taipei Main Station smart project on the AWS Cloud, with Amazon EC2 instances for web applications and services. Askey uses Amazon Kinesis to collate data from thousands of smartphone apps, AWS Lambda to process that data, and Amazon DynamoDB to store it. 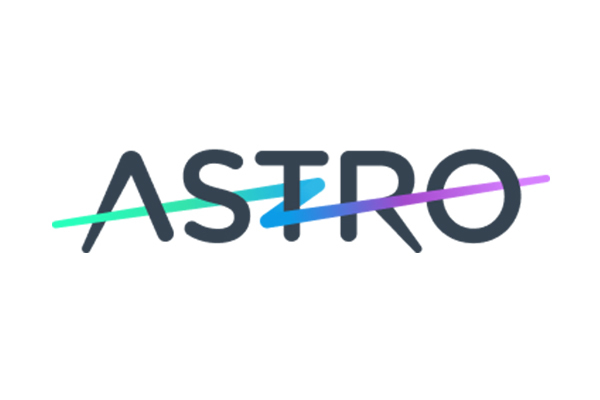 By using AWS deep-learning technologies, Astro took only six weeks to develop and deploy Astrobot Voice, the enterprise-grade voice email assistant that ships with its Astro email app. The company enables workplace teams to focus on what’s important by using machine learning to make their communications more effective and less time-consuming. Astro built Astrobot by using Amazon Lex for speech recognition and language understanding. Autodesk uses AWS to detect and fix application problems faster, improve log file analytics, and create an enterprise unified log data solution with a small IT team. The company creates software used by organizations in the architecture, engineering, construction, manufacturing, media, and entertainment industries. Autodesk created a unified log data solution on AWS, taking advantage of Amazon Elasticsearch Service and other AWS services. Cenique’s shopper-insight and digital-signage solutions provide retailers across the globe with an easy way to analyze in-store customer behavior and optimize marketing strategies accordingly. The company migrated its analytics platform to AWS after experiencing frequent downtime with on-premises servers. By moving to AWS, Cenique has reduced its operating costs by 60 percent and scaled to support a tenfold increase in customers. Civis Analytics creates technologies that empower companies and organizations to extract valuable insights from the data they generate, transforming them into smarter organizations. The company uses Amazon Redshift to run its analytics platform enabling its customers to run tens of thousands of jobs per month regardless of their complexity. Using AWS, Civis Analytics can scale up its IT infrastructure dynamically based on the number of customer using its platform. CrowdChat takes conversations on the Internet and social media networks and then unifies them for users according to topic hashtags. The company turned to AWS to run its web application as well as its big data workloads. By using AWS, CrowdChat created an infrastructure that can store more than 250 million documents and easily handle demand so users can quickly find topics of interest. DataXu is a cloud-based provider of programmatic software that helps advertisers save money and increase sales through greater effectiveness and efficiency in their marketing efforts. The company faced issues with scale and costs associated with on-premises IT environments and turned to AWS to run its big data platform. By using AWS, DataXu evaluates more than 30 trillion ad opportunities per month while saving up to 72 percent monthly on operational costs. Ivy Tech Community College of Indiana is the largest community college in the United States. The college uses Amazon Redshift and Amazon Simple Storage Service to run analytics tools to glean insights from more than 1.7 million student records, and then archives data in Amazon Glacier. With the AWS solution, Ivy Tech can meet its petabyte-scale data needs while avoiding unnecessary IT expenses. NASA’s vision is “We reach for new heights and reveal the unknown for the benefit of humankind.” To better share its achievements with the public, NASA turned to InfoZen, an Advanced Consulting Partner of the AWS Partner Network (APN). NASA’s new Image and Video Library, built on Amazon Web Services, provides easy access to more than 140,000 still images, video, and audio—all in one place, from virtually any device. By building its new solution in the cloud, NASA is ensuring its ability to scale on-demand, while paying for only the capacity it needs, making the best use of taxpayer dollars. Pixels is a digital-advertising services company that delivers targeted ads to consumers on the web and mobile. The firm runs its ad server and analytics platforms in the AWS cloud. This has enabled Pixels to cut its time to market, excluding hardware procurement, from three months to one month. QNAP Systems, Inc. provides powerful and reliable network-attached storage (NAS) and network video recorder (NVR) solutions worldwide. The company’s analytics platform, running on AWS, helps QNAP improve its products and customer service by extracting insights from customer data and event logs. By using AWS, the company has reduced the time it takes to run complex queries and generate reports from days to minutes. University of Maryland University College (UMUC) is an open-access university serving working adult students pursuing higher education through on-site and online courses. When its legacy applications were due for renewal, UMUC turned to AWS to build its new analytics platform and several administrative workloads. By using Amazon Redshift, UMUC has improved its extract, transform, and load (ETL) performance by twentyfold allowing it to build more accurate predictive models. Woongjin Thinkbig is a specialized educational service company that provides digital educational and cultural content. The organization recently launched a customized learning service built using artificial intelligence and an integrated data-analytics platform. The organization used Amazon Kinesis and Amazon EMR to analyze large data sets and provide meaningful results to customers. Yelp.com and the Yelp mobile app publishes crowd-sourced reviews and photos about local businesses across the United States and in Europe, Asia, South America, Australia, and New Zealand. Using AWS services, Yelp streamlined its testing and development environment to maximize the productivity of its hybrid infrastructure, cutting its test-run time to 10 minutes, compared to as much as two hours previously. By using AWS, BidMotion benefits from low application latency and has scalable storage for billions of rows of data that can be accessed for analysis by machine learning. BidMotion hosts its ad-tech platform on the AWS Cloud. Its solution provides ad tracking and audience analysis to help companies make their mobile applications more profitable. The low latency provided by the AWS infrastructure provides a better experience for users of apps employing BidMotion. Being part of the AWS Partner Network helps BluePi deliver large-scale migrations to the AWS Cloud for Indian businesses, as well as software-as-a-service solutions, while driving 150 percent annual growth. BluePi serves businesses across India with cloud-based IT solutions and services. The company uses AWS services such as Amazon EC2 and Amazon RDS, and AWS Lambda, Amazon Redshift, and Amazon Lex to support analytics and machine learning capabilities. Boingo Wireless uses AWS to run analytical queries in 25 seconds instead of 45 minutes, load one million data records in 20 seconds instead of two hours, and scale compute resources 20 times faster. Boingo Wireless provides mobile Internet access at more than one million Wi-Fi hotspots across the globe. The company runs its big-data warehouse and dev/test environments on AWS, and uses Amazon Redshift to ingest multiple terabytes of analytical data from different sources. By using AWS to automate the process of identifying when individuals appear in video streams, C-SPAN estimates it will be able to index 100 percent of its first-run content each year, covering 7,500 hours of content compared to the previous 3,500 hours. C-SPAN is a public service created by the United States cable television industry to make government proceedings available for public viewing. The organization is using Amazon Rekognition—an image analysis service based on deep-learning technology—to detect faces in screenshots captured from eight available C-SPAN video feeds that run 24/7. Cadreon processes big-data queries from thousands of sources in a few seconds and quickly scales to meet growing demand using AWS. The company provides programmatic advertising solutions to branding companies across the globe. Cadreon runs an audience-insights analytical platform on AWS. By using AWS, Chumbak focuses 100 percent of its IT resources on development, releasing new code for its web store every day. Chumbak sells its own designs for apparel, home décor, and consumer-life style goods via its web store and multiple stores across India. It ensures web store visitors can find and buy the products they want easily regardless of traffic numbers thanks to a back-end infrastructure running on Amazon EC2 instances with Auto Scaling, an Amazon S3 data repository, and Amazon Kinesis to capture and process web-store clickstreams in real time. CrowdStrike uses AWS to implement a scalable, cloud-based solution for preventing cyber breaches with on-demand resources, thereby simplifying maintenance, reducing cost, and improving performance. The company provides security software solutions that help companies protect their data by finding and stopping breaches. CrowdStrike analyzes threat data by spinning up big data analysis resources on demand using the AWS platform. The organization hosts machine learning and behavioral analytics workloads on Amazon EMR and runs a custom graph database called CrowdStrike Threat Graph™ using Amazon EBS. Custora reduced its operational burden, eliminated downtime, and increased the speed of onboarding new customers by shifting client data to Amazon EFS. Custora is an advanced customer-segmentation platform built for retail, enabling marketing and CRM teams to easily create targeted customer lists to improve ROI for email, display ads, Facebook, and direct-mail campaigns. Custora uses Amazon EC2 for ingestion and analysis of large data sets, and Amazon EFS storage for its data-ingestion and analytics pipelines. Daniel Wellington re-architects its Amazon Web Services (AWS) environment with microservices for improved scalability and lower cost. The Swedish company designs and sells watches and accessories based on classic, minimalist designs. It uses services including AWS Lambda, Amazon Kinesis, and Amazon Cognito. The UK Driver and Vehicle Licensing Agency (DVLA) is using an API-based approach to empower people and organizations to create innovative applications and services with valuable public data. DVLA maintains the registration and licensing of more than 47 million driver records in Great Britain, as well as the collection and enforcement of Vehicle Excise Duty in the United Kingdom. The organization uses Amazon API Gateway to host and manage data APIs with the ability to scale to billions of transactions per month, and AWS Lambda for efficient, cost-effective operational tasks such as report generation. easyJet uses AWS to handle more than 900,000 bookings per hour while optimizing costs and creating better traveler experiences for 90 million passengers per year. Emagine International’s RED.cloud can deliver messages to millions of telecommunications customers in less than 250 milliseconds in response to events through the scalability of the AWS Cloud. Emagine International builds software solutions for telecommunications businesses to increase customer revenue and loyalty. RED.cloud uses Amazon VPC to meet stringent customer security requirements, and Amazon EC2 to run analytics databases. Using AWS, Experian has built a big-data processing platform called Experian Ascend that will enable integrated analysis, development, and deployment of analytical and decisioning solutions for customers against 15 years of full-file U.S. credit data in the cloud. Experian is a global leader in consumer and business credit reporting and marketing services, with annual revenue of more than $4 billion. The company built its petabyte-scale data-ingestion and analytics solution using open-source technology running on Amazon EC2, with data stored in Amazon S3. By using AWS, ezDI has scaled its software-as-a-service (SaaS) solutions to support more than 30 million healthcare transactions. The company helps healthcare providers improve their operations to minimize the impact of bills going unpaid because of wrong patient-treatment codes or gaps in documentation. ezDI runs its SaaS applications on Amazon EC2 instances, using Amazon RDS for its applications database and Amazon Redshift to enable data-analytics services. Faculty uses AWS to increase scalability, eliminate file storage management, and create innovative new features. The organization, based in London, provides machine-learning and data science platforms used by more than 2,000 data scientists worldwide. Faculty uses Amazon EFS for centralized file storage for its data science platform. Using AWS, FICO delivers high-volume analytics software and tools to enterprises around the globe, including 95 percent of the largest financial institutions in the US. FICO is a data analytics company best known for producing the most widely used consumer credit scores that financial insititutions use in deciding whether to lend money or issue credit. FICO has migrated several core applications, including myFICO.com and its flagship analytics platform, the Decision Management Suite (DMS), to AWS, and will migrate additional applications over the next three years. FinAccel is a financial technology company that leverages deep data analytics on AWS for credit scoring automation & provision of credits to underbanked millennials in Southeast Asia. The company uses a wide range of AWS services including Amazon Kinesis and AWS Lambda for its flagship product, Kredivo, offering ecommerce shoppers instant credit financing based on real-time decisioning. FINRA moved an on-premises data-validation process to AWS, achieving significant cost savings, reducing management overhead, and cutting response times from three minutes to less than one minute. FINRA oversees securities broker-dealers in the United States, including analyzing up to 75 billion market events daily to identify fraud and insider trading. FINRA stores data on Amazon S3, uses AWS Lambda to perform validation, hosts a controller on Amazon EC2, and employs Amazon SQS to coordinate microservices. Formula One Group (Formula 1) is moving the vast majority of its infrastructure from on-premises data centers to AWS, and standardizing on AWS’s machine-learning and data-analytics services to accelerate its cloud transformation. Formula 1 will work with AWS to enhance its race strategies, data tracking systems, and digital broadcasts through a wide variety of AWS services. By running its virtual world and asset management software on AWS and by using Amazon EC2 Spot Instances, Fugro Roames has enabled innovative new asset and vegetation management strategies for Ergon Energy’s power network, reducing annual operational costs from AU$100 million (US$70 million) to AU$60 million (US$43 million). Founded as a business unit within Ergon Energy, Fugro Roames helps its clients to remotely investigate the condition and performance of overhead power-line networks. Fusionex uses AWS to shift from on-premises solutions to the cloud, allowing it to deliver products to customers in weeks verses months, all while saving time spent on maintaining hardware and infrastructure. Fusionex is a global, multinational IT consultancy and solutions provider, specializing in big data analytics and business insights. Fusionex employs Auto Scaling technology, Amazon RDS, and Amazon S3 to improve their operations and shift human resource focus towards innovation. Goodwill Industries has increased uptime for its stores, schools, and offices, can back up servers hourly, and can restore servers within moments of failure using AWS. Headquartered in Maple Shade, New Jersey, Goodwill Industries of Southern New Jersey and Philadelphia is a not-for-profit organization with a mission to put people to work and help them realize their economic potential. Goodwill uses Cloud Protection Manager by N2W Software—a seller in the AWS Marketplace—for backup and disaster recovery to protect all of its data, systems, and assets. By using AWS, GoPro quickly built and launched its GoPro Plus service to enable its customers to upload content directly to the cloud. GoPro is an action-camera manufacturer that allows customers to share experiences with others using its products, mobile apps and software. The company relies on the AWS Support team for quick assistance with its upcoming product launches. By using Amazon Redshift, Grab is able to use real time data computation and data streams to support 1.5 million bookings in Southeast Asia. Grab, a ride hailing transportation platform is available across six countries in Singapore, Malaysia, Indonesia, Thailand, Vietnam and Philippines. Grab is using Amazon ElastiCache and Amazon Redshift. With its data analytics pipeline, the Hearst Corporation processes clickstream data from more than 300 websites and delivers it to website editors within minutes. Hearst is one of the largest diversified media and information organizations in the world, with more than 360 businesses. The company uses Amazon Kinesis Streams and Amazon Kinesis Firehose to transmit and process more than 30 terabytes of clickstream data daily. iCHEF has reduced its IT management overhead by 13 percent using AWS, while also bringing down its overall IT costs to just 7 percent of the monthly fee it charges customers to use its point-of-sale (POS) service. iCHEF provides a POS service for restaurants across Southeast Asia, where employees use the app’s interface through Apple iPads. The company runs the backend infrastructure supporting the POS on the AWS Cloud, using Amazon EC2 instances for compute, Amazon RDS for transactional database services, and AWS Lambda to run daily data integrations for customers with multiple establishments. Innovaccer built a scalable, zero-latency data platform using AWS that is 81 percent more cost-effective than an on-premises equivalent. Innovaccer is a leading healthcare data platform company, empowering healthcare organizations in the United States with data-driven insights for faster clinical decision making and efficient care processes. The company uses a variety of AWS services including Amazon EC2 instances for computing power, Amazon S3 for storage, and Amazon RDS for user data to support their healthcare data platform. Using AWS, Instapage increased customer in-app activity by 10 percent, enabled marketing and customer success with powerful on-demand reporting, and identified a billing error that will save the company tens of thousands of dollars. The company offers a software-as-a-service solution to build and optimize landing pages for advertising campaigns. Instapage’s data team implemented Amazon Redshift—alongside various analytics tools—to aggregate, warehouse, and synthesize data on a 2 TB cluster. 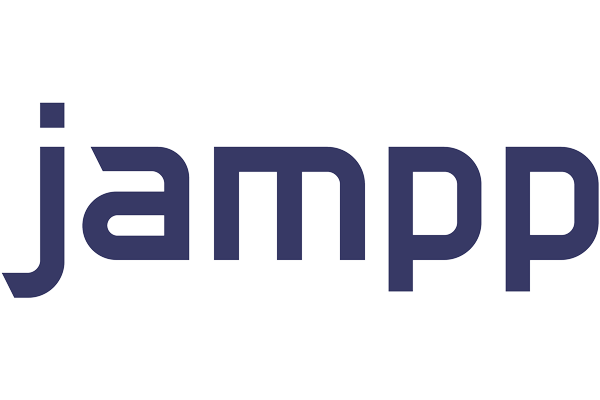 Jampp now processes 250 times the amount of customer data while saving two-thirds on processing costs using AWS. The company uses big data and machine learning algorithms to help its clients—from Twitter to Uber—drive users to their mobile apps. It does this using AWS technologies including Amazon Kinesis, AWS Lambda, and Amazon DynamoDB. The City of Kansas City connected its smart city infrastructure with Xaqt on AWS, enabling it to create powerful predictive models that improve quality of life and reduce costs. One of the most connected smart cities in the United States, Kansas City takes advantage of a public-private partnership to build out a sophisticated network of sensors and access points for big-data insights. Through Xaqt, the city uses Amazon Kinesis to ingest data, Amazon Redshift as a unified data lake, and AWS Lambda for cost-effective, serverless data transformations. By running its big-data analytics and video streaming platforms in AWS, KKBOX has cut the time to create reports from weeks to minutes whlie reducing video infrastructure costs by up to 50 percent. Launched in 1999, KKBOX is a Taiwan-based content streaming and analysis provider with over 400 employees. Using AWS, Liulishuo has created a stable and reliable online learning platform, which provides tens of millions of users with personalized English language learning services. Liulishuo is a leading AI-driven education technology company dedicated to providing each and every user with personalized and adaptive online learning courses. AWS services employed by Liulishuo include: Amazon EC2, Amazon S3, Amazon EMR, Amazon VPC, Amazon CloudWatch, Amazon RDS, Amazon ElastiCache, AWS Data Transfer, Amazon DynamoDB, AWS Config, AWS Storage Gateway, among others. Manthan reduces deployment times from months to days by delivering its retail analytics and business intelligence solutions from the AWS Cloud. Manthan delivers software-as-a-service (SaaS) business intelligence and analytics solutions to retail and consumer businesses across the world. The SaaS platform uses AWS services including Amazon EC2 for compute, Amazon Kinesis for processing big data, and Alexa Voice Service for voice-activated business insight. Mapbox can collect 100 million miles of telemetry data every day using AWS. Mapbox provides an open-source mapping platform for custom designed maps that serve more than 250 million end users across 11 countries. Mapbox is all in on AWS and running across 10 regions. Mapbox uses Amazon Simple Storage Service (Amazon S3) to store petabytes of map and imagry data, and Amazon CloudFront along with Route 53 for fast content delivery. By using AWS for its analytics and content delivery workloads, Mediacorp has been able to innovate and improve time to market of its products to deliver the best experience for its audience. Miovision uses AWS to capture and analyze IoT data from thousands of connected devices at traffic intersections around the world. Through connected sensors and intelligent analytics, Miovision empowers more than 17,000 municipalities in 50 countries to be smarter, improving transportation capacity, safety, cost-effectiveness, and performance. The company uses AWS IoT to securely connect thousands of advanced sensors and cameras, builds innovative analytics on Amazon EC2 and other services, and provides open access to data via Amazon API Gateway. By running its geospatial data platform on AWS, Monsanto quickly scales to meet growth, provisions compute and storage in seconds, and sets up development and test environments in minutes instead of months. Monsanto provides agricultural products that support farmers and other customers throughout the world. The company uses Amazon Elastic File System to support its geospatial data and analytics solution. Movable Ink uses AWS to query seven years’ worth of historical data and get results in moments, with the flexibility to explore data for deeper insights. Movable Ink provides real-time personalization of marketing emails based on a wide range of user, device, and contextual data, driving higher response rates and better customer experiences. The company uses the Amazon Athena serverless query service to analyze data stored in Amazon S3, gaining insights to improve results for customers’ marketing campaigns. Netflix uses AWS to analyze billions of messages across more than 100,000 application instances daily in real time, enabling it to optimize user experience, reduce costs, and improve application resilience. Netflix is the world’s leading internet television network, with more than 100 million members. Using Amazon Kinesis Streams, Netflix processes network flow logs rapidly and enriches them with application metadata in a highly dynamic, large-scale networking environment. NTT DOCOMO can deliver analytical queries to its data scientists 10 times faster, add new data sources and analytics capabilities in weeks instead of months, meet security requirements, work with multiple petabytes of data, and scale to support fast growth by using AWS. The company is Japan’s largest mobile service provider, serving more than 68 million customers through advanced wireless networks, including one of the world’s most progressive LTE-Advanced networks. NTT DOCOMO hosts its web service systems and corporate applications on AWS, and uses Amazon Redshift to support a data analysis platform. Pinsight Media analyzed six months of mobile-carrier signal data—a process requiring 100,000 compute hours—in just eight days. 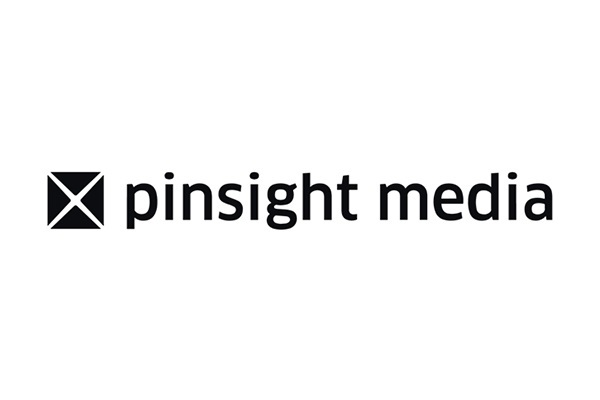 Pinsight is a leading mobile data and insights company that offers customer modeling, analysis of brand affinity, competitive benchmarking, and market analysis. The company used Amazon EBS persistent block storage, Amazon EC2 Spot Instances, and Amazon EMR pipelines to ingest, analyze, and obtain insights from its customer’s 900 TB dataset. ProtectWise uses AWS as the basis for an innovative security-analytics solution, enabling customers to store petabytes of networking data and analyze it in seconds. ProtectWise delivers automated threat detection, pervasive visibility, and unlimited forensic exploration, all from the cloud and on demand. The company uses Amazon EBS to buffer incoming data before storing it in Amazon S3, and uses Amazon EC2 to power data processing and analytics. Software and services company red violet significantly reduces compute costs for large parallel-processing clusters using Amazon EC2 Spot Instances. The company uses cloud computing, proprietary algorithms, and big data to resolve complex data problems. The company uses Amazon EC2 for data processing, relies on Amazon EC2 Spot Instances to keep costs manageable, and counts on Amazon EBS storage to ensure data can persist when Spot Instances are reclaimed. Relying on AWS as its infrastructure provider of choice for its Splunk Enterprise cybersecurity solution, Royal Dutch Shell matured a large data lake for historical analysis. Headquartered in the Netherlands, Royal Dutch Shell is a British-Dutch multinational oil and gas company with operations in more than 70 countries and an interest in 22 refineries around the globe. The company uses Amazon EC2 and Amazon EBS for its Splunk environment on AWS, which helps it find more than twice as many events that could have resulted in security incidents and breaches. Sanlih E-Television is saving 30 percent now that its platform to support a multichannel online strategy is running on AWS. Founded in 1983, Sanlih E-Television is a nationwide cable TV network delivering some of the most popular TV channels in Taiwan. To help maintain its leading position, the company developed an online strategy using AWS services such as Amazon EC2 to run its website and Amazon Kinesis as an engine for real-time application monitoring and clickstream analytics. Founded in 1998, Scout24 is a leading operator of digital marketplaces for cars and real estate in Germany and other European countries. The company built a central data lake on AWS to give all of its teams access to the data generated through its online marketplaces. By running a data lake on AWS, Scout24 helps its teams stay agile, identify new use cases to enable its customers to make smart buying decisions, focus on their core business, and scale solutions cost-efficiently. The introduction of a data platform has further helped Scout24 create a data-driven company culture. Scripps Networks Interactive reduced its CGI render time by 95 percent using a solution based on AWS Thinkbox Deadline. Scripps Networks Interactive is a mass-media company specializing in factual and lifestyle television brands such as HGTV, DIY Network, and Food Network. The company is using the AWS Portal in Thinkbox Deadline to manage and administer Amazon EC2 Spot Instances as CGI render nodes. Migrating its POS and CRM systems to the AWS Cloud has enabled Senao International to automate 63 percent of systems maintenance, better manage security protocols, and eliminate downtime. Senao International is the leading provider of wireless phones, accessories, and mobile calling plans in Taiwan. The company uses Amazon EC2 to power its new e-commerce site and CRM platform, Amazon RDS to manage databases, and AWS Lambda to automate control of its AWS WAF firewall. By migrating to AWS, SGN has become more secure and agile while reducing costs. SGN is a United Kingdom gas-distribution company that manages the distribution network for natural and green gas to almost six million homes and businesses across Scotland and the south of England. The company runs multiple workloads on AWS, including key analytics platforms and mobile applications. Shaadi.com migrated from a private hosted cloud to AWS so it could focus on its core business, reduce costs, and gain the agility to develop better user experiences faster. Shaadi.com is one of the world’s largest online matchmaking services, helping people around the world meet their life partners through a curated database of verified profiles.The company uses Amazon EC2 and Amazon S3 as a foundation for its services, relies on Amazon ElastiCache for in-memory storage, and adopted Amazon Rekognition for automated profile-picture management. By developing its SaaS platform on AWS instead of on premises, Shoptimize has reduced IT costs by at least 30 percent and in turn, increased customers’ profitability. Shoptimize delivers an end-to-end ecommerce platform to leading brands; to establish their online presence and grow website sales. Its solution spans across technology, marketing, analytics and marketplace management. The company’s SaaS platform runs on Amazon EC2 instances with Amazon RDS providing database services and Amazon Kinesis delivering clickstream data from website visits, online marketing campaigns, and social-media interactions. With AWS, five students were able to set up a simulation business—called SimScale—that has attracted 100,000 users in just four years. SimScale makes computational fluid dynamics, finite element analysis, and thermal simulation available to anyone via a web browser, so companies can make better-informed design decisions. SimScale runs its application using AWS services including Amazon EC2 and Amazon S3. Snowplow Analytics, an open-source analytics platform, enables enterprises to track customer behavior and analyze data from any source with any tool. Needing real-time analysis of highly granular data, Snowplow Analytics built its platform on AWS, enabling real-time processing of hundreds of millions of events each day. Sony DADC New Media Solutions (NMS) uses AWS and worked with AWS Consulting Partner Datavail to ensure high availability for critical Microsoft SQL Server–based applications, spin capacity up or down on demand, and reduce the time it takes to run a key database process by more than 40 percent. The California-based organization provides digital supply chain solutions to film studios, broadcasters, and other providers of media content globally. NMS runs several SQL Server database applications on Amazon EC2 instances. Using AWS, the Stock Exchange of Thailand (SET) launched a comprehensive trading platform for startups in just eight months, ensuring compliance with strict regulatory guidelines and security protocols for personal data protection. SET acts as a center for securities trading in the country, offering a range of products and services to domestic and international customers. The enterprise uses Amazon EC2 for its online trading platforms, as well as Amazon RDS and Elastic Load Balancing for its AWS Cloud–native products. For its latest product launch, SET integrated Amazon S3 for file and document storage and AWS Key Management Service for use with blockchain technology. Sunday brings InsurTech to Thailand with the support of AWS—and giving customers lower-cost premiums for a wide range of insurance policies. Sunday applies machine learning to determine risks and delivers highly customized insurance policies. The company runs H2O.ai , an open-source software for data analysis, on Amazon EC2 instances for risk/pricing modeling, and relies on AWS Lambda for executing the machine-learning software code when requests for insurance quotes come in. The Met Office has increased IT agility and scalability while reducing costs by migrating to the AWS Cloud. The Met Office provides meteorological data to the United Kingdom. It delivers weather data via an app using Amazon EC2 instances to process data stored in tables in Amazon RDS and as objects in Amazon S3. Thomson Reuters uses AWS as the platform for its Product Insight analytics solution, which can process more than 4,000 events per second and scales automatically to accommodate increases in traffic during breaking news. Thomson Reuters provides professionals with the intelligence, technology, and human expertise they need to find trusted answers. Product Insight captures and processes data using Amazon Kinesis and AWS Lambda, stores it using Amazon S3, and secures it using AWS Key Management Service. Toyota Tsusho uses AWS to quickly scale their data processing of traffic data from over 50 thousand vehicles, while reducing costs up to 35 percent. Toyota Tsusho Electronics (Thailand) is a subsidiary of Toyota Group Japan and manufacturer of vehicle embedded software applications. Toyota Tsusho launched TSquare, a traffic information broadcasting system, which provides users real-time traffic data in Bangkok and 6 suburb provinces. Toyota Tsusho uses AWS products such as Amazon EC2, Amazon Kinesis, and DynamoDB to process large amounts of data in a scalable and reliable way. TrueCar, working with AWS Advanced Consulting Partner CorpInfo, has gone all in on AWS, migrating workloads and thousands of virtual machines from physical data centers to the AWS Cloud and streamlining development and test tasks to serve its customers faster and more cost-effectively. 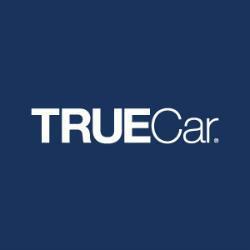 TrueCar provides a digital automotive marketplace that offers comprehensive pricing transparency about what other people paid for their cars while enabling consumers to engage with TrueCar Certified Dealers who are committed to providing a superior purchase experience. The UK Data Service is using Amazon Web Services to provide highly secure access to data via scalable APIs, providing new ways for researchers, citizens, policymakers, and businesses to get value from the United Kingdom’s data resources. The UK Data Service provides unified access to the United Kingdom’s largest collection of social, economic, and population data. The Service will ingest data using a customized open-source infrastructure running on Amazon EC2, hosting the cloud portion of its data lake on Amazon S3. Upserve quickly develops and trains more than 100 learning models, streams restaurant sales and menu item data in real time, and gives restaurateurs the ability to predict their nightly business using Amazon Machine Learning. The company provides online payment and analytical software to thousands of restaurant owners throughout the U.S. Upserve uses Amazon Machine Learning to provide predictive analysis through its Shift Prep application. Using AWS, V-Count grew its revenue by 92 percent in the second half of 2017 by delivering cutting-edge retail analytics and people-counting products in a highly secure environment that keeps customer data safe. The company manufactures patented visitor-tracking devices and business-analytics tools to help its clients understand their customers’ behavior and maximize the effectiveness of their marketing campaigns. Using the Amazon CloudWatch monitoring service, the V-Count team can spend less time on system administration and more time developing new products. Viasat built a business-critical data-ingestion platform using AWS, adopting Amazon EBS st1 volumes for optimal I/O performance and simplified storage management. Viasat is a satellite-communications provider that connects residential customers, flight passengers and crews, and military operations across the globe to the internet through trusted communications ground services, infrastructure, and personnel. The company runs Apache Kafka on Amazon EC2 using Amazon EBS storage. VIDCOIN is a startup competing in the fast-growing ad tech business in France. The company wanted a solution that could offer faster ingestion of user data and better insights into end user activities. It turned to AWS Partner Network (APN) Advanced Consulting Partner Corexpert, which created a solution using Amazon Elasticsearch Service, Amazon Kinesis, and AWS Lambda along with a Kibana-based dashboard to capture and analyze millions of events daily. Vocus Communications developed a data-analytics platform 75 percent faster by using AWS and engaging APN Partner Bryte Systems. Vocus is a telecommunications company in Australia delivering a range of services, including broadband internet. The company has built an analytics platform that features Amazon S3, Amazon EMR, and Amazon Redshift to deliver real-time business insights—designed to improve customer experience, reduce churn, and leverage new business opportunities. Vpon is on target to cut infrastructure costs by 50 percent by moving its mobile advertising analytics platform to AWS. Founded in 2008, Vpon provides mobile advertising services, including analytics, for businesses such as McDonald’s, Coca-Cola, American Express, and Citibank. The company is using Amazon Redshift to provide highly accurate client reports in real time. 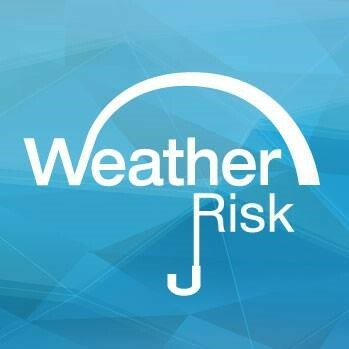 WeatherRisk in Taiwan reduces the cost of developing high-precision weather forecasts by 50 percent using AWS. The company provides government agencies and enterprises with weather forecasts and risk mitigation reports. By using AWS, the company can deliver its services, and develop new services to meet clients’ specific requirements, significantly faster. As a result of the added compute performance from Amazon EC2 and AWS Lambda, weather data is downloaded in seconds instead of minutes from satellite sources, and meteorological data can be stored cost-efficiently in Amazon Glacier. Wyng adopted managed services and serverless computing from AWS to reduce complexity and increase scalability—while reducing its AWS spend by 40 percent. Wyng builds technology that powers digital campaigns and promotions for advertising agencies and brands. The company uses Amazon Elasticsearch Service to help clients capture and rapidly search social-media content, Amazon Aurora to store historical campaign data, and AWS Lambda to run serverless microservices. By using Amazon Redshift and Amazon EMR, Yelp has cut data query performance from hours to mere seconds, providing for richer and more interactive data analysis that helps the company improve its offerings. Yelp is a website and mobile app that connects people with great local businesses.The company moved its big-data analytics platform to Amazon Redshift and Amazon EMR. Using Amazon Kinesis, Yieldmo analyzes online ad-interaction data in milliseconds, gains real-time insights, and optimizes ad placements to deliver more efficient ad campaigns for mobile advertisers. Yieldmo provides advertising technologies that help publishers monetize digital content. The company uses Amazon Kinesis to capture, process, and deliver data in real time. Taiwan-based Yulon Energy will roll out its charging stations across China more efficiently by using AWS to speed up deployment and reduce the cost of the stations’ IT. Yulon Energy is building charging stations for owners of electric vehicles. The company takes advantage of the AWS Cloud to deliver the IT that supports the stations and uses Amazon EC2 for all applications and databases, Amazon S3 for data storage, and Amazon Glacier for archiving. Zalando, Europe's largest online fashion platform, was founded in 2008 in Berlin. Today, the company employs about 15,000 people and ships approximately 90 million orders per year. Zalando's e-commerce platform runs on a range of AWS services, including Amazon Elastic Compute Cloud (EC2) Spot Instances. By using AWS, Zalando can quickly implement new product ideas and roll out new features easily, quickly, and cost-efficiently, while providing its customers with a reliable, high-performing shopping platform. Zendesk uses the AWS Cloud to cut costs by more than 60 percent, increase data retention by 200 percent, and easily scale its internal data-logging solution. The San Francisco, California, organization provides a cloud-based customer support platform to organizations across the globe. Zendesk runs its primary platform and an internal data- logging solution on AWS, taking advantage of multiple Amazon EBS volume types for better performance and lower costs. Zimplistic is driving sales of its Rotimatic robot kitchen appliance worldwide with the support of AWS. The startup developed the Rotimatic device, which prepares freshly baked rotis—flatbreads—in less than a minute. Rotimatic is IoT-enabled using AWS IoT Core, which ensures that data passes securely and reliably from the Rotimatic devices to cloud applications running on Amazon EC2 instances, and the company relies on AWS Lambda for data processing. By using AWS to build a data lake, zipMoney can gather unique customer insights that vastly improve its underwriting process, pushing the boundaries of analytics with artificial intelligence and machine learning. zipMoney is an Australian fintech startup offering instantaneous, virtual lines of credit to consumers upon checkout at stores or on e-commerce sites. The firm relies on Amazon EMR and Amazon Elasticsearch Service to process and query vast amounts of data, Amazon S3 buckets to store such data, and Amazon DynamoDB to support its applications with low latency.